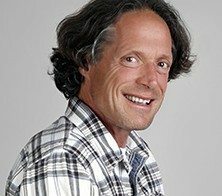 Fred Luskin serves as Director of the Stanford Forgiveness Projects, an ongoing series of workshops and research projects that investigate the effectiveness of his forgiveness methods on a variety of populations. The forgiveness project has successfully explored forgiveness therapy with people who suffered from the violence in Northern Ireland, Sierra Leone as well as the attacks on the World Trade Center on 9/11. In addition, Fred’s work has been successfully applied and researched in corporate, medical, legal and religious settings. He currently serves as a Senior Consultant in Health Promotion at Stanford University and is a Professor at the Institute of Transpersonal Psychology. He presents lectures, workshops, seminars and trainings on the importance, health benefits and training of forgiveness, stress management and emotional competence throughout the United States. He offers presentations and classes that range from one hour to ongoing weekly trainings.